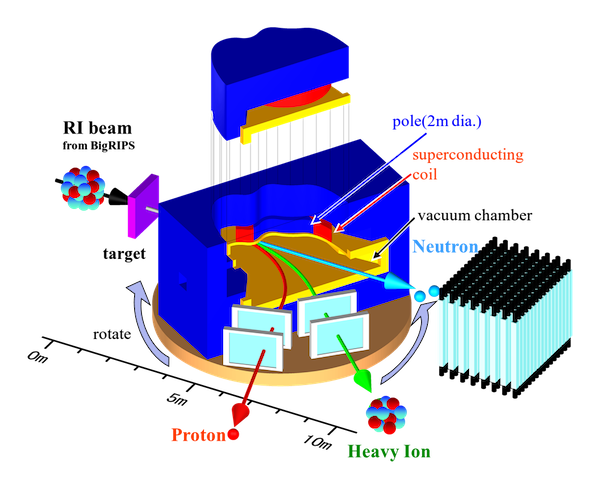 SAMURAI (Superconducting Analyzer for Multi-particles from Radioisotope beams) is a large-acceptance multi-particle spectrometer for radioactive-beam experiments. The central part of the spectrometer system is a large-gap superconducting magnet with 7 Tm of bending power for momentum analysis of heavy projectile fragments and projectile-rapidity protons with large angular and momentum acceptance. 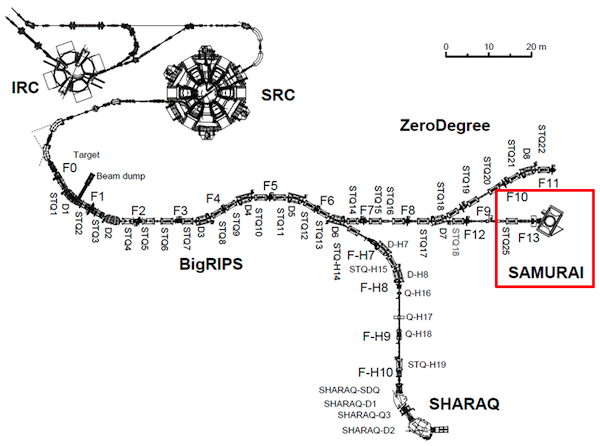 The large gap also enables measurements of projectile-rapidity neutrons with large angular acceptance in coincidence with heavy projectile-like fragments. SAMURAI contains also a variety of particle detectors. This system is suitable for various radioactive-beam experiments such as electromagnetic dissociation including radioactive-capture reactions, various direct reactions as well as polarized-deuteron-induced reactions and EOS studies.